The Pasta House Company Fettuccine Alfredo - a creamy rich sauce poured over pasta is a true delight. Home » Copycat Restaurant Recipes » The Pasta House Company Fettuccine Alfredo – a creamy rich sauce poured over pasta is a true delight. 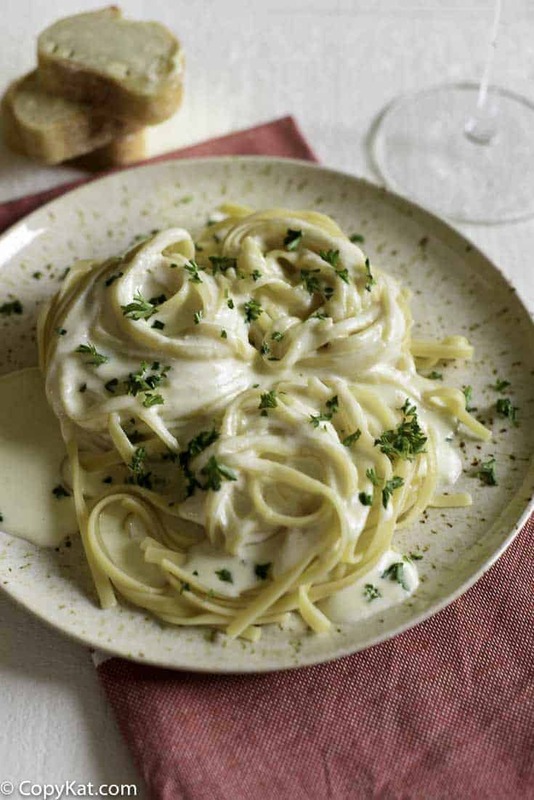 Alfredo sauce may taste like it is difficult to make, and that you may slave away on it all day, but guess what, you can make this dish easily at home. You might say our recipe is a clone of the original recipe, as it tastes just like the the Alfredo sauce from the restaurant. 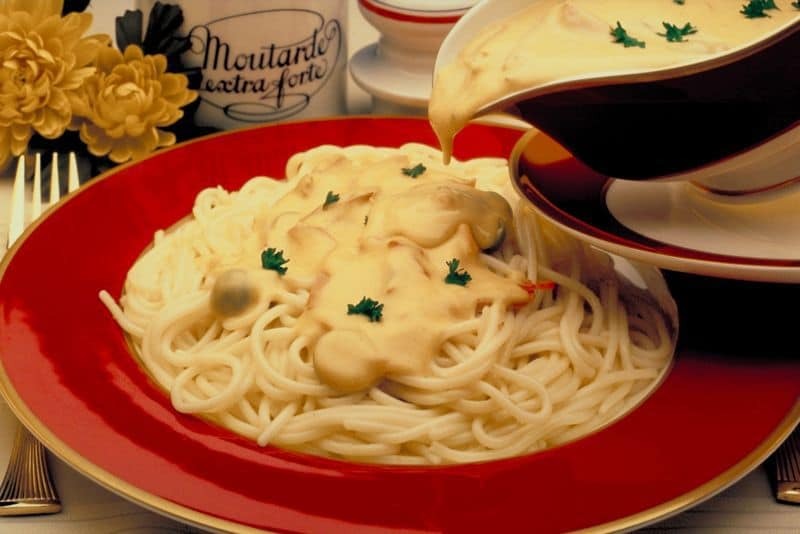 A creamy rich sauce poured over pasta is a true delight. Cook noodles in salted water until 3/4 done; strain off water and put noodles back in pot. Add cream and butter. Bring to a hard boil. When noodles are fully cooked, removed from heat; add Parmigianino cheese and cracked black pepper. Toss and serve. This is really best tossed together before serving, as the pasta gets a better coating this way. This was so easy I didn’t realize how easy it was to make Alfredo! We will be enjoying this at home more often.